İzmir Metropolitan Municipality provides its services within the perspective of inclusive democracy policies, family policies, health policies, education policies, transportation policies, employment policies based on human rights; as well as international agreements. The ongoing works oriented to our citizens with disabilities are being undertaken under the service titles of: Education, Transportation, Accessible Environment, Inclusion to Politics and Public Life, Inclusion to Culture, Art and Sports Activities, Health and Rehabilitation, Labour and Employment, Information and Communication, Raising Awareness and Social Aids. İzmir Metropolitan Municipality was awarded with the title of ‘Disabled Friendly Municipality” by the Turkish Prime Ministry, Department of the Administration of the Disabled, in 2005. 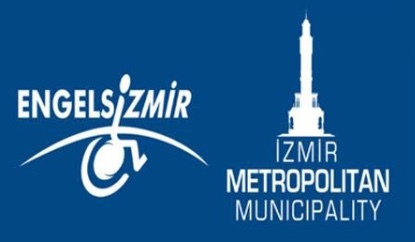 Likewise, the years of 2010, 2011 and 2012 were declared “Year of People with Disabilities” with the decree of the İzmir Metropolitan Municipal Council. Services to people with disabilities are continued to be given under the roof of Directorate of Disability Services that was established in 2014. As of today, there are 4 Service Centers; namely Buca, Konak and İnciraltı Disability Service Centers as well as the Awareness Center that operates under the Directorate of Disability Services. Psycho-social service of the Directorate of Disability Services also gives guidance and counseling along social consulting. Counseling service by the expert personnel on education, health, social aid, transportation, employment and legal issues is offered to the people with disabilities and their relatives. In addition, people with disabilities are also directed to relevant institutions according to their needs and counseling is given both about the services of İzmir Metropolitan Municipality and they are enlightened about the disability rights. With this implementation, which was done for the first time in Turkey, it is aimed to increase the number of accessible spaces for people with disabilties. The “Accessible Izmir Red Flag Commission”, consisting of representatives from Izmir City Council, Izmir Municipal Council, Chamber of Architects, Chamber of Civil Engineers, Chamber of Mechanical Engineers, Aegean Region Chamber of Industry, Izmir Chamber of Commerce, Union of Chamber of Merchants and Craftsmen, Associations related with disabled people, in order to specify the criteria related with the issuance of the Red Flag award and carrying out the controls and assessments based on the implementation, was established and the “Accessible Izmir Red Flag Legislation” was accepted by Izmir Municipal Council and put into force. In order to receive the Red Flag, you need to apply with a written application to the Department of Social Projects of Izmir Metropolitan Municipality. A Board of Supervision that was formed by the members of the Commission inspects the field and presents its report to the Commission. The Commission decides according to the quality of accessibility features of the space. The positive decision is finalized after the approval of the Municipal Council and the “Red Flag” award is given to the institution. What do stars on the Red Flag represent? One star on the Red Flag represents that the space or the transportation vehicle meets the 60 % of the criteria on the technical specification, two stars represent that the space or the transportation vehicle meets the 75 % of the criteria on the technical specification and three stars represent that the space or the transportation vehicle meets the 90 % of the criterias on the technical specification. There are 50 institutions that received the Red Flag award in Turkey. To read more about İzmir Metropolitan Municipality's Disability Services, download the 15-page document in PDF format from the right-hand panel. Download the list of Red Flag winners in Turkey, January 2018, in PDF Format from the right-hand panel.